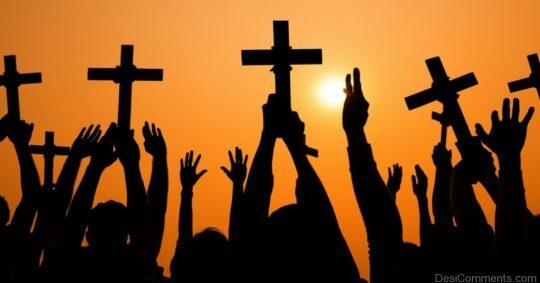 Is Christianity the Higher Religion? Home › The Anti-Missionary Gateway › Is Christianity the Higher Religion? Christians believe that the Law of Moses has been abolished in favor of a better, higher religion. They believe that the Torah is bad and gives death, but their faith gives only life. Even a casual study will easily disprove this. Let’s begin by discussing the Torah. The Torah comes from Hashem, so how can it be cruel or bad? Furthermore, the Torah itself says that the Torah is our life. “I call as witnesses today, heaven and earth, that I have offered to you life and death, blessing and curses. You must choose life, so that you and your descendants will live. You must love Hashem your G-d, which means obeying His instructions, and clinging to Him, for that is your life and your survival….” (Deuteronomy 30:19-20). And it says, “For a Commandment is a lamp, and the Torah is the light…” (Proverbs 6:23). And it says, “Your days are increased through Me, and that’s how years are added to your life” (Proverbs 9:11). So you see, we get life from Hashem directly, and we do not need Jesus or Christianity. There is nothing higher than the Torah. The Torah of Hashem is perfect, it restores the soul. The testimony of Hashem is trustworthy, it turns simple people wise. The commandment of Hashem is clear, it enlightens the eyes. The fear of Hashem is pure, and endures forever. The judgments of Hashem are true, consistently righteous. They are more desirable than gold, even more than the purest gold! Sweeter than honey that drips from the honeycombs. “The Torah of Hashem is perfect, it restores the soul.” Think about what those words say about the Torah. Yet Paul, the reshaper of Christianity, hated the Torah, and said many nasty things about it, when he wasn’t busy saying nasty things about women. The Torah has everything in it that a person needs to restore his soul. It is the most perfect of teachings, and it is complete. It lacks nothing. “If you want to be perfect, sell all that you have and give it all away to the poor.” Does any Christian sell everything he or she has and give it to the poor? Only Catholic priests do, because this is not a practical instruction. Judaism, by contrast, prohibits, in most cases, giving away all your assets, because that would make you destitute and dependant upon charity yourself, forcing others to support you when you are capable of supporting yourself. It would make you a burden to society. Judaism insists that you give charity, and that you must do your share to support yourself and your family as well. Which, then is the better and more reasonable Law? And according to Judaism, you can be perfect even without giving away everything you own. Again I ask: which, then is the better and more reasonable Law? It is no wonder that Matthew quotes Jesus as saying that the way to eternal life is narrow and difficult! (Matthew 7:13-14) The Christian way is indeed difficult. The Jewish way is easier. Christianity has never been better than Judaism. When Christianity was first invented it was an alternative to the pagan cultures. It was, perhaps, something of an improvement over most of the pagan faiths. It was never better than Judaism, though they would like you to think it was. The teachings of most Christian denominations today contain some rather horrifying things. But the Torah teaches us, “Hashem does not bury the reward of any creature” (Babylonian Talmud: Pesachim 118a; Nazir 23b; Bava Kama 28b; Horyos 10b). Anyone, even an animal, that does a good deed, is rewarded for it. The Christian bible practically claims to have invented love. It is interesting to note that the Christians like to say that Jews did not and won’t accept Jesus because we are full of hate and sin. Jesus was a man who said that he would have all his enemies destroyed. Where is the love in that? Indeed, the Catholic Church has been directly responsible for most of the horror and death that has taken place in the past two thousand (2,000) years. And they say we are the ones full of hate? The Christians lay claim to the phrase, “Love your enemies.” Yet, as I said above, Christians have been more responsible than anyone else for killing their enemies, and even their friends who slightly disagree with them. If you don’t believe this, ask the next Abigensian you meet. I’m willing to bet that unless you are a history buff you have never even heard of the Albigensians. That’s because the Christians killed them all out in the twelfth century. You know why they killed them? Because the Albigensians believed that all physical things are inherently evil, so the preached against wealth and physical acts of ritual. Unfortunately for them, the Catholic Church was rich and fat on the wealth of Jews and everyone else they didn’t like, and they didn’t take too well to people telling them it was wrong to have material goods. Furthermore, the Catholic Church was offended because the Albigensians were against the wafer and wine sacraments, which is a ritual that the Catholic Church believes in very strongly. So, the Catholic Church did the simplest thing. They killed all the Albigensians, showing their love and tolerance. The death penalty was, indeed, inflicted too freely on the Albigenses, but it must be remembered that the penal code of the time was considerably more rigorous than ours, and the excesses were sometimes provoked….Pope Innocent III was justified in saying that the Albigenses were “worse than the Saracens”; and still he counselled moderation and disapproved of the selfish policy adopted by Simon of Montfort. What the Church combated was principles that led directly not only to the ruin of Christianity, but to the very extinction of the human race. No apology, no contrition, no acknowledgment that the Albigensians had done nothing wrong. No, the Albigensians deserved it, because they supposedly attempted the “very extinction of the human race,” and besides, the penal code of that time was very rigorous anyway. This is just one example. The Catholic Church has been responsible for more acts of hatred than any group ever to exist. Admittedly, they have been around very long, but there are groups who have been around even longer and have not been responsible for such death and destruction. Buddhism existed at least 400 years before Christianity, and they are not known for such wholesale destruction. The Protestants have been no better. The Lutherans denounced and excluded the reformed Calvinists from salvation. The Calvinists roused up the people against the Lutherans. Zwingli, who started his own Christian sect in Switzerland, complained of Luther’s intolerance when Zwingli and his group were the victims, but he and his followers tied the Anabaptists in sacks and threw them into the Lake of Zurich! Zwingli, by the way, followed the typical Christian method of spreading his religion by destroying churches and burning monasteries of rival religious sects. It can be argued that he was only responding in kind to the way he and his group were treated, but what about the Christian dictum to love your enemies and forgive them? What about the Torah’s Commandment not to take revenge? C. Johannes Janssen, author of a 16-volume history of Germany during “Reformation” times, quotes the Protestant theologian Meyfart that: “At Augsburg, in the first half of the year 1528, about 170 Anabaptists of both sexes were either imprisoned or expelled by order of the new-religionist Town Council. Some were… burnt through the cheeks with hot irons; many were beheaded; some had their tongues cut out.” The Catholics had no monopoly on torturing dissidents. Protestants do not generally spread around the fact that Martin Luther himself wrote that Jews should be murdered or forcibly converted, and that all the synagogues should be burned down. And as I mentioned above, the Anglican Church teaches that anyone who does not believe in Jesus and does something good has really done something evil. How is that a religion of love and tolerance? By contrast, Judaism believes that all righteous, of every religion, goes to Heaven. Not only that, but a Gentile can go to Heaven without keeping the Torah! Gentiles have to keep only Seven Laws (which mostly they do anyway, today), but Jews have to keep the Commandments of the Torah and their Laws. So actually, according to Judaism it is easier for a Gentile to go to Heaven! In what way is any branch of Christianity better and more loving than Judaism? “Turning the other cheek?” “Resist not evil?” Most denominations of Christianity have not kept those teachings in any way, shape or form. Most of those who have claimed to espouse such platforms have turned out to be the worst offenders. Such “high moral” claims are not practical, and no one keeps them. Certainly, if someone robbed you, you would take them to court to try and get your money back. This has always been the problem with christianity. They talk a lofty talk. It sounds so holy, and spiritual, and beautiful. Forgive everyone! Love everyone! How sweet. So why has this not worked in practice? Because it can’t. When you are adamant in teaching an unreachable trait, it backfires. History has shown that unattainable and unrealistic ideals are very dangerous. This was perhaps the source of one of their greatest errors. They thought they could improve on the Torah; they thought they could improve on what G-d Himself taught. It can’t be done. Hashem knows what humans are capable of, and what we are not capable of. And Hashem commanded us according to our ways. Christian practice is simply NOT higher or better than Hashem’s word. It is a lot less practical than Jewish practice. By contrast, Jewish practice is Hashem’s word, and it is entirely practical. This entry was posted in The Anti-Missionary Gateway and tagged Christianity on 20/12/2017 by admin.